I had the pleasure to give a talk on 300 years of Freemasonry at the Welsh Installed Masters Lodge No. 9857, which was held at Elwy Hall in Rhyl, North Wales. 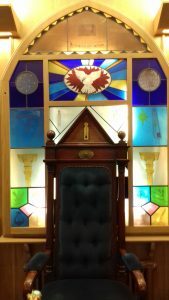 The lodge, which was founded in 2010, meets in various different locations around Wales, except for the installation which takes place in London, hence the emblem of the lodge, which displays the Welsh dragon situated above the Tower of London. 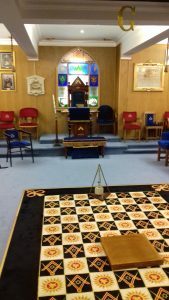 There is much interest in the history of Freemasonry this year, being the tercentenary of the Grand Lodge in London, and this was my last talk for the Masonic season. It’s always great to visit different lodges, to see different variations on ritual, different styles of working, even different traditions during the festive board, and this lodge did not disappoint, with an eclectic mixture of the use of the Oxford ritual and the Welsh National Anthem sang in Welsh during the festive board. It’s a great lodge to visit and as it meats on a Saturday, it’s a good excuse to make a weekend out of it.